It’s another beautiful day out fishing for Pacific sailfish along the Great Astrolabe barrier reef. You were off at dawn and now your two pink squid daisy chain teasers are skipping along in the wake, your party of anglers waiting patiently around the cockpit with their pitch baits ready for the first sailfish attack. Suddenly a bill pokes out of the sea, right behind the left hand daisy chain and a sailfish has a couple of half hearted swipes at the teaser tail. 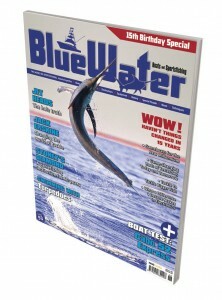 Deckie Joe swings into action and starts to work the teaser back to the boat as the first angler pitches a bait and skips it back to the billfish…….But something is wrong…….The sail doesn’t light up and charge after the teaser. It takes one last swipe with its bill and slides away, disappearing off to the left. It’s the New Moon and the sails are doing what they always do here around the New Moon…..Being finicky ! Bring in the teasers and set a spread of small bullets, feathers and bibbed minnows. Head for the nearest skipjack or Yellowfin tuna. Once you have one, cut a couple of belly flaps in a stretched diamond or ‘kite’ shape. Take a bait needle and some waxed thread or cotton and stitch the flap in a criss-cross pattern from one end to the other. This is to hold the flap together in one piece and to stop it from tearing apart too easily. Take the last squid or lure on your daisy chain and tie the thicker end of the belly flap to the end of your teaser line with a bit of waxed thread. Slide the lure down over the belly flap so that the belly flap is contained within the skirt. Its ok if a little bit of the thin end of the belly flap protrudes from the end of the skirt. We usually use a strip of tuna belly but Queenfish or Dolphinfish also work well. All these species have fairly tough skin that will hold up well to being trolled. Other baitfish also work but tend to break up after a short while. When the next sailfish mouths the end of the daisy chain and gets a taste, they will almost always light up, charge the teaser and eat anything pitched back at them. Works like a charm here in Fiji. Adrian was born on the island of Cyprus and graduated to his first rod & reel at the age of five. Having fished around the world from the Arabian Gulf to the North sea and English Channel, he finally settled for the tropical waters of the South Pacific around the island of Kadavu, Fiji Islands. 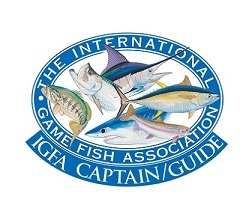 Director of Matava Resort Gamefishing, he skippers ‘Bite Me’, the resort’s 31ft DeepVee Gamefishing vessel and thoroughly enjoys exploring the light and heavy tackle fishing around the island and Great Astrolabe Barrier Reef. 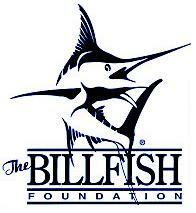 An IGFA Certified Captain, he advocates tag & release and is a keen supporter of the IGFA and the Billfish Foundation.